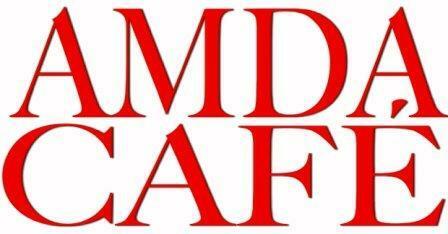 AMDA LA CAFE…Where everybody knows your name…. the line might be cliché, but the sentiment is real. As independent operators running the AMDA LA Café, Steve Price and Andrew Kinley have more than just business on the menu. They are talented, gourmet chefs with a shared philosophy for making healthy, delicious food accessible and they love cooking for the performing arts community. Step into the café and chances are one of the chefs or friendly staff members will greet you by name. Both chefs have backgrounds in the arts and this connection is what brought them to AMDA four years ago. While working at a busy, high-end wine and cheese shop, Steve and Andrew kicked around ideas for how they would run a café. Steve left an award-winning career in the film sound industry to become a chef and Andrew was financing a singing career with the help of his culinary arts degree. They both wanted to share their phenomenal food knowledge with a cross section of people wider than just the well-heeled clients who could usually afford the gourmet restaurants they’d worked in after culinary school. During this time, AMDA was looking for ways to improve the café’s food and atmosphere, seeking a menu that would be healthy and delicious while served in a friendly inviting environment. AMDA knew it was a time for a change so they set out to recruit a new, vibrant company. Through fellow performing artist friends, word got to Andrew and Steve that AMDA was courting a new Café operator. The two chefs just knew they had to go for it and they brainstormed night and day to build a proposal and pitch their ideas to AMDA, which included a healthy new menu and a re-organization of the space. When they were “cast” as the new café operators, they were both elated and stunned. Their freshly minted business partnership with AMDA was really happening and they dove in with just a few weeks before opening for business. They spent the next three sleepless weeks cleaning, building, stocking supplies, hiring and training a brand new staff, and of course, cooking! They also installed a vintage style Electra espresso machine, destined to fuel many long hours and study sessions for everyone at AMDA. Hundreds of people were expected to step up to the counters and order breakfast, lunch, dinner, snacks, and beverages the first week they opened for the Fall 2009 semester. It was a tremendous undertaking. They even washed dishes every night for months when they did not have a night dishwasher, and then showed up to cook and bake every morning after just a few hours of sleep. Because they love to cook, Steve, Andrew and the entire staff make everything on the menu with a clear agenda: healthy, delicious, accessible, and with just the right balance between gourmet and familiar. As chefs, they are knowledgeable on the connection between food nutrition and health and they know performers especially need nutritious food to keep up their stamina. Their early introduction of the Trio of salads is now one of the most popular lunch specials and they get requests for the kale salad all the time. Nearly every cooked or baked item is made from scratch in small batches. Andrew, the Pastry Chef, specializes in making the irresistible freshly baked goods with no preservatives or fillers– and you can taste the difference. Steve makes his own sauces, dressings, and specials daily. They sprinkle the menu with organic items where they can, offer many options from snacks to full entrees and get the highest quality possible for every ingredient. It is truly amazing that they do all of this and keep their menu prices far below those of similar cafés or restaurants in our Hollywood neighborhood. Having chefs who are also the owners and operators of a restaurant is a rare thing. To see them behind the counter daily, smiling and taking orders, on top of everything else they do is rarer still. In the performance world, it would be equivalent to writing, producing, designing, directing, and starring in your own production that runs 6 days a week, 46 weeks of the year. They credit their amazing staff of fourteen people with keeping the café at the top of the charts over the past four years. Indeed, it has become such a favorite hangout that AMDA now holds the Café Series variety performance there each semester. So the next time you are standing in line for an espresso drink, or one of the delicious, homemade lunch specials, think of it as your own…standing ovation.